With appeals and challenges from rivals exhausted, a new company’s bid to take over the marinas on Virginia Key moves forward after a year of legislative limbo. Today’s (9/13) agenda for the Miami City Commission includes two proposed resolutions that will determine the fate of Rickenbacker Marina and Marine Stadium Marina on the city-owned barrier island. The controversial matter that has lingered for years has been hush-hush since last September, when commissioners opted not to rush awarding the project to get it on the November 2017 ballot. The first resolution is to accept the city manager’s recommendation approving the findings of the selection committee that Virginia Key LLC is the top-ranked proposer for the 2017 request for proposals for lease and development of city-owned waterfront property for marinas/ restaurant/ ship’s store uses, and authorizing and directing the city manager to negotiate a lease with the proposer. The second resolution is to approve a referendum special election asking city voters to approve or disapprove of the long-term lease of the city-owned marinas to Virginia Key LLC. For many years the city has been trying to get a new operator for Rickenbacker Marina and the adjacent dry dock operation. A request for proposals on the marinas launched in 2015 resulted in months of controversy and contention, ending with commissioners rejecting all bids and directing staff to start from scratch. Commissioners also changed the process to handle bid protests in 2016, calling for all bid protests to be heard and decided by a special master. 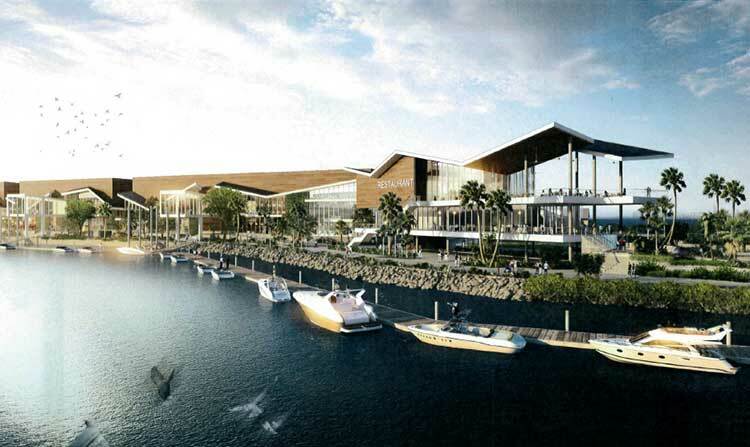 The latest request for proposals saw two prior competitors unite – Virginia Key LLC is a joint venture of RCI group and Suntex Marinas that plans to invest more than $80 million to create Virginia Key Harbour & Marine Center. A selection committee and former city manager Daniel Alfonso chose the partnership as top proposer. The second-place bidder filed a bid protest that was heard by a special master who backed up the selection of Virginia Key LLC. The second-ranked proposer appealed to the Eleventh Judicial Circuit. The court heard oral arguments and ultimately denied the second-ranked proposer’s petition on July 30, effectively upholding the hearing officer’s decision to affirm the city manager’s recommendation of the proposer, according to the newest resolutions presented to commissioners. The proposed lease would run for 45 years with two 15-year renewal terms and payment of $2.2 million base rent annually plus 6% of revenues; additionally, the base rent would be adjusted annually by the greater of the Consumer Price Index or 3%. The lease could take effect only after the public’s vote of approval, and the deadline to put proposals on the Nov. 6 ballot has passed. Virginia Key LLC’s proposal includes 162 wet and 750 dry slips, parking for 630 vehicles under the dry stack storage, 24,000 square feet of commercial space for small retailers, and about 2,600 linear feet of landscaped baywalk. The company said projected revenues in the first 15 years would result in rent to the city of $60,479,022, plus about $5,962,971 in property taxes.